Posted on 01/24/2012 What Causes Motorcycle Accidents? Motorcycles are becoming more popular than ever as a mode of transportation. This is because of its low initial cost, great gas mileage and use as a pleasure vehicle. 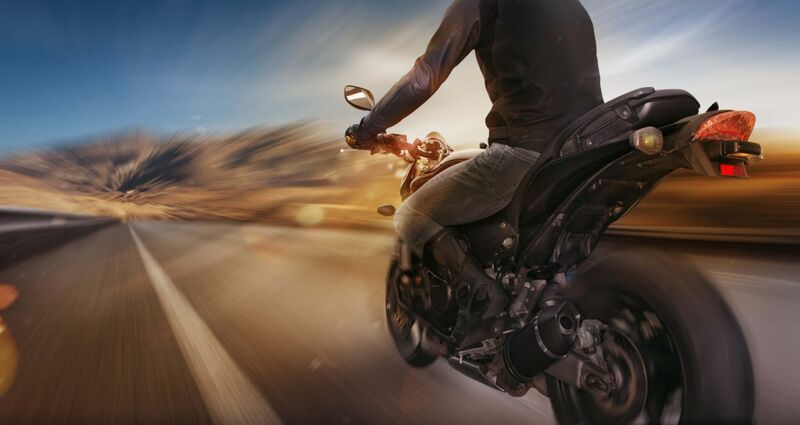 Motorcycle fatalities represent approximately 5% of all highway fatalities each year, according from the National Highway Transportation Safety Administration. Why are motorcyclists so vulnerable? One of the main reasons motorcyclists are killed in crashes is because the motorcycle itself provides virtually no protection. A car has more stability since it has four wheels and is easier to see. However, while motorcycles lack weight and protection, they are easier to maneuver and can stop quickly when necessary. This is yet another reason people love their motorcycles. They get an adrenaline rush. How can I protect myself from an accident? Wear protective clothing and gear while riding your motorcycle. If riding at night, make yourself visible to other drivers by wearing brightly colored or reflective clothing. Avoid riding your motorcycle on rough roads or in bad weather conditions. Always avoid riding while under the influence of alcohol or drugs. Treat other motorists with courtesy and respect. Know and obey traffic rules. Riders must be aware and know their limits. While it can be fun to weave in and out of cars and drive fast, it's also extremely dangerous. Cars drivers have a hard time spotting motorcycles. If you're weaving in and out of traffic and a car doesn't see you, they are likely to hit you. Since motorcycles are completely exposed, you will take the full force of the accident. This could be deadly, especially at high speeds. Unfortunately, motorcycle accidents happen, but you can help protect yourself with the tips above. The more you know about motorcycle safety, the safer the roads will become for everyone.